Rotting fence posts can destroy an entire fence. As we enter the freeze and thaw cycle of winter in Virginia, it’s important to take extra steps to protect your wooden fence. Rotting is one of the biggest threats that your fence faces over the course of these precipitation-heavy winter months, so how can you protect your wood fence posts from rotting? 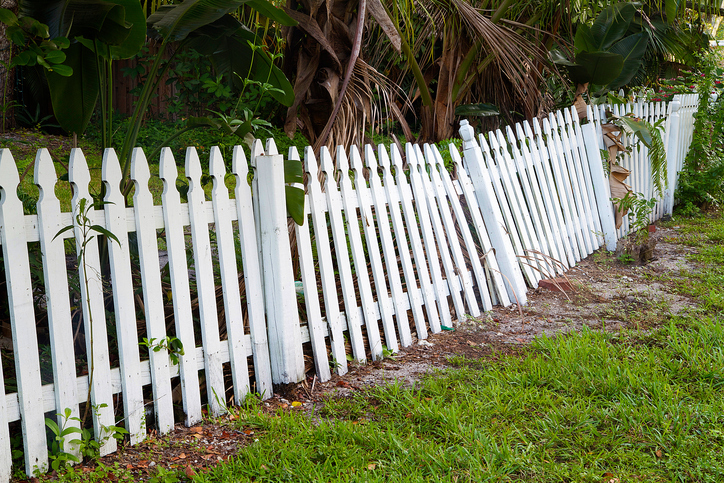 Planning ahead by properly installing your fence posts is critical to preventing rot. What type of soil does your hard have? If the current soil lets water drain away from the post hole, putting gravel around the base of the post might work well. However, if your soil is heavier with a slow rate of percolation, putting gravel around the base will encourage water to go into the post hole and start the rotting process. If you poured concrete around the base of each fence post during installation, that will protect the fence that is above ground but potentially damage the area where the soil meets the wood. Concrete should be poured evenly with the finish grade to ensure that rot won’t occur. Even in cases like that, if the soil in your yard doesn’t drain well, rot will start to set in. 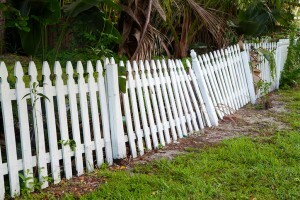 The best way to stop your fence posts from rotting is to prevent them from making contact with soil. If you use metal post anchors that are set in concrete, you will have a sturdy fence that will be much less likely to rot. Select a metal anchor that leaves a space between the concrete and the bottom of the post. By planning ahead and thinking out your wood fence installation, you can prevent rot and enjoy many more years from your fence! Hercules Fence Northern Virginia has countless fencing options for your business and commercial property. Whether you’re excited for a beautiful vinyl chain link fence or already planning out your custom wood commercial fence, we are ready to help you frame and secure your property. Hercules Fence Northern Virginia has been providing homeowners with quality fences for over 50 years. We are well equipped to meet your needs, whether they are residential or commercial. Contact us to see how a beautiful wood fence can protect your property by giving us a call at 703-551-2609 or visiting us online. To see examples of our work, follow us on Facebook, Twitter, Google+, LinkedIn, Pinterest, and Flickr. This entry was posted on Friday, January 13th, 2017 at 6:02 pm. Both comments and pings are currently closed.